When do you cross it? The holidays are a good time to reflect on you and your life. The direction you take. Which door do you choose? What road did you go down? Some of you may not even be aware of the road you took because you are too involved in your issues and that’s the only normal you know. After all, you were born and raised in a family that was your normal and recklessness might be the normal. It is all about being responsible for your actions and behavior. If you are a teacher and love a particular topic that all you do is talk about it and your students are bored and lose interest in the subject, then is it love or an obsession? There are students who are such perfectionists that they don’t start a project because they know they will fail. It has to be perfect. They use every excuse in the book before starting any project or they procrastinate until it’s too late. They drive themselves nuts and prove to themselves that they are a failure even though they are capable. They proved to themselves and the world that they are unworthy. This is the person everyone tries to help but there’s nothing you can do for them until they change themselves. You also know those people that take risks and look like they are putting themselves in danger. If they succeed, they are courageous. If they fail or get hurt, they are reckless. How do we support or help people that are walking that fine line? Do we? Or is it our job to point out there is a fine line? Holidays bring out the best and worst of people. The economy is putting stress on all of us no matter what your income. If you are poor, you are probably having more problems than just not having enough money to pay bills. I work with a high poverty middle school and am so in awe of children who put up with so much. One of the 6th grade teachers is doing “I am from” poems. I read poems that tore at my heart strings. One boy wrote about living in a house with drunks and his mother dying of alcoholism. He had other things in the poem that I’ll share later when they create their digital stories with their poems. Other students wrote about unbelievable issues of lives unknown to me. I had to go out of the room and cry. I’m so involved with my own life that I forget what our children are going through. All of us have more issues now than ever before because of the economy. Poor children are going through the most. They have no voice. Social services are overwhelmed and underfunded. They can only do so much. Schools have cut counselors and teachers are younger and don’t have the background or experience to deal with these issues. We are leaving more of our poor children behind than ever. The reasons why they give up or leave school is more than the school’s problem. It is society’s problem. It is a matter of taking on their perspective and having empathy for their situation. It is our duty as adults to listen and to try to figure out what is happening to the child. So I go back to my years in middle school: a white middle class 11-13 year old girl in Maryland. I remember wanting to be popular and liked. It was not the best time of my life. I was scared and didn’t know what was happening to my body. I was changing. I cried a lot for no reasons. I loved this boy or that boy. If they didn’t talk to me, I was devastated. So my perspective of middle school might have been the same as many young white middle class girls. I don’t even remember my teachers or the classes I took. I do remember sewing class and wearing one of my creations in a fashion show. But forget math or history. I don’t remember any of that. I remember I lost my best friend to Hodgkinson’s disease. That was awful, but I never knew anyone who had been shot or murdered. This group of children I’m working with all know someone who has been shot. Many of them had a relative shot, a family member in jail, very rarely have breakfast or food on the table. I cannot even imagine what they go through. One child sleeps in the bathtub because that is the only safe place. Families are in trouble all over the US. If you are in trouble, there’s probably anger, yelling, crying, and everyone in the family is impacted. We cannot forget the children. What adults do in their homes or at school impacts the children. Some children internalize everything so you never know there’s a problem. They smile on the outside and are so hurt on the inside. What I love about these “I am from” poems is that sometimes one child who is really in trouble opens up and writes what is happening to them. I believe our job as educators is more than teaching to a test especially for children at-risk and in crisis. Help your children to open up and share their feelings. Look at their perspective on life and have empathy for them. That’s what the holidays are about: sharing and loving each other — kindness and compassion. I read Chris Lehman’s post on “What we should remember” about why we teach. It’s all about our kids. That’s it! Thank you Chris for a thought-provoking post! I am in awe of what your students are able to do at the Science Leadership Academy and hope more people get involved in Educon 2.3 end of January. I work mostly with middle school students. Remember what it was like to be in middle school or junior high. This was my toughest time in school. I remember falling in love with a boy who didn’t even know my name. I remember loving Paul McCartney because I knew he would see me in the audience and want to date me. I remember almost everything but my teachers’ names or even what happened in the classrooms. I remember embarrassing times and scary times. It was an awkward time where friendships meant more than my own family. I remember not feeling smart because I don’t remember anyone telling me I was smart. What I wore, how I looked meant more than what I learned. So are middle school students different today than I was then? Most of the schools I work with are Title I schools with high percentages of free and reduced lunches. This was the target for NCLB. I’m sorry to say there are more poor children left behind now than ever before. I grew up in a safe environment where we didn’t have to worry about life and death decisions. I love Glee and believe all children are smart and talented. I grew up in a house with artists who never new there was a box to be in or lines to color in. However, Glee represents a middle class school. I’m white and grew up in middle class neighborhoods. I had no idea what children from high poverty schools go through. Yesterday I read “I am” poems and autobiographies from some of the children from one of the middle schools I work with. I cried. I really cried. I was sitting in the faculty room of one school and couldn’t even imagine what many of these students endure. I don’t want to share their personal stories here but imagine most children in this school had a family member shot; knew someone in prison probably a father or brother; come from a broken home; do not have enough money for breakfast; don’t have a warm coat; may lose their home; some are homeless. When you realize that some of these students sleep in their bathtubs because that is the only safe place from bullets, you wonder if they’ll stay in school. I read about 12 year old girls who believe their only goal is to get pregnant. That way they have someone who will love them. Oh my! I heard this before, when I started with the Technology Challenge Grant in Oakland in 1998. We were working with 4th-8th grade students. I just thought it was getting better. It seems much much worse now. greet your children when they arrive to your classroom by name and shake their hands. have compassion and empathy for your students perception and positions. realize that all children are smart — find out how they are smart and celebrate it. create opportunities for success in every classroom. design engaging learning environments where students own their learning. be an advisor to several children if there is no counseling program. get to know your students’ families and invite them to your classroom or visit their home. have students keep a journal for their eyes only — unless they want to share it with you and others. bring in content experts either to your classroom or virtually. connect your classroom to other classrooms around the world. connect your curriculum to real-world applications that make sense to your students and their lives. create replacement units that engage your students of some content areas in the pacing guide. ask students to ask three other students before asking you. encourage questions – lots of questions and post them around the room. be more of a co-learner and facilitator of learning. take some risks and be okay about failing some of the time. if you cannot take risks, then rethink your job there. Go where your core beliefs are the same. and if there are no other jobs and you feel lucky to have this job, then use some of the ideas here with your students. Learning in middle schools of the past for today’s children is an oxymoron. 11-13 year olds have different perspectives on life and what they need to know than adults no matter their situation. Add poverty and crime and hopelessnes and it is an almost impossible thing to ask of these students and teachers. Our current school system is broken especially for these kids at these ages. I am only one person and realize the challenge to make this kind of change is enormous. We cannot lose any more children. They are all precious and special and gifted and smart. They are our future. I will do whatever I can to support teachers as they do what they can to help students reach their fullest potential. Teachers go into teaching to make a difference. Then reality hits. This time in history is hitting everybody. 60% of Americans feel the country is in decline. State education budgets are devastated. Teachers want to make their lessons engaging but there are so many reasons or excuses that they find to go back to what is safe and easy. Actually, I’m starting to understand their position. I’m a coach who comes into their classrooms and shares with them strategies to engage students and then I leave. I set up a way to virtually support them. What I see is a different teacher than when I worked with teachers 20 years ago. The world is different. Their training is different. The curriculum is different. The pressures they have today are overwhelming. Teachers are told to follow the pacing guide. Why are you not on page 262 on Thursday? This is impossible if you want to engage students in the learning process. Reading from a script is boring for the students and the teacher. 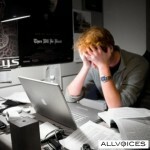 It creates a power struggle between the teachers and the students. Teachers become more isolated in their classrooms instead of where we were going – a more collaborative network of professionals learning from each other. When you read from a script, you don’t need collaboration. 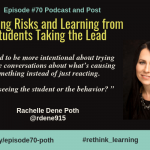 Changing the learning environment depends on the school, the administrator, and the willingness for the school community to take risks. Risk-taking and being okay with failing is the way we learn. There cannot be one right answer if we want to solve global issues. What if we stop and rethink what school is all about. It’s all about the kids. Their future is at stake. It’s a moral issue. It needs to be about learning not teaching. Our children are not prepared for their future. Pacing guides, meeting the standards, teaching to the test, are just not enough anymore. So if you are a teacher who wants to make a difference in kid’s lives and are in a situation where you and your students talents and creativity may be stifled, there are several things you can do before you give in or give up. Start your digital footprint by following people who believe in the same things as you and follow them. Build your personal learning network (PLN) using social media i.e. Facebook, Twitter, LinkedIn, Classroom 2.0 on Ning, and more. Join My eCoach and voice your challenges and successes in the Conversation Corner. Look for projects or lessons in the eLibrary and clone and adapt any of them. 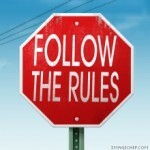 Write a blog or comment on people’s posts so there are trackbacks to you. Quote and link to those people who write and talk the way you want to write and talk. I welcome your comments and invite you to follow me. Attend conferences virtually if you cannot go to the conferences in person. Some conferences include: K12 Online Conference, Connecting Online Conference (CO11), Global Education Conference, and Educon 2.3. If the conferences are over, then watch the archives. Check out collaborative global projects like iEARN, Global Schoolhouse, and ePals. Your students want to make a difference too and need a way to connect the curriculum to the real world. Find, clone, or create and implement one lesson that infuses some creativity as a replacement unit. You can use the Universal builder — it’s easy. Or use Google Sites or Wikispaces. Just take a risk to publish online. Capture moments using digital media of students working on a unit without creativity and comparing it with the replacement unit. If you don’t have a camera, ask your coach to capture it for you. Start small. Change takes time. Learning is all about change. Learning never ends. It means that your students as learners want to grow and add skills or knowledge to what they know and do to reach their learning goals. You are their co-learner, guide, coach, mentor… facilitating the process. They may not have goals so you may be guiding them to learn how to question, be a critical thinker and problem solver. Your learning never ends either. That’s why you are reading this. To be an agent of change (that’s what this type of teacher is), you cannot do it alone. Ask for help. Find a coach or mentor to work with you on the backend. A coach is there to guide you to success. It only takes starting with one project. 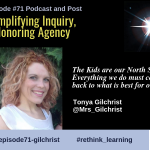 It may not be an overwhelming success where you see gigantic breakthroughs, but take into account the tone in your classroom– where it is and where you want it to go. You still may need to do direct instruction. The forces and atmosphere are still traditional teaching and direct instruction but this is where you can make a difference. 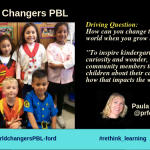 One teacher at a time — One classroom at a time — One PLN at a time –All of us sharing why we need to change so we have evidence — real evidence that this works. So what does success look like to you? 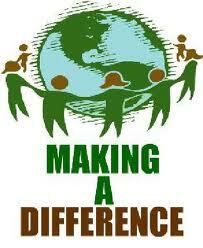 How are you making a difference in a child’s life? How can we help you? This last one on pyramids changed a student’s life. This team decided that one of the boys (who was overweight and shy and being bullied at the school – name withheld to protect the innocent 🙂 would be the pyramid salesman. This came from the group. No questions. He wanted to sell the pyramid and the rest of his team said “okay.” They watched commercials of car salesmen to use as an example of how to sell his pyramid. 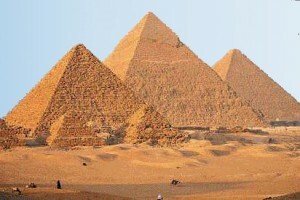 The artist created a detailed drawing of the outside and inside tombs of the pyramid. The graphic artist and writer created a storyboard and wrote the script out on a poster board to be held below the camera. The camera and audio crew set up the stage and practiced with the actor. All of this was going on while other teams were working on their projects. It was pretty cool! I was watching the process and saw this actor grinning, laughing, and changing right before our eyes. When the classes saw the video of him selling the pyramid like a real car salesman — pointing to this tomb as a place for the special rendezvous — and those steps to a secret room as an added value — all of us saw something in him that we never saw before. He was funny. He was clever. He was not the person they thought he was — a timid, shy, sad person. He changed everyone’s opinion of him with that video. His confidence changed also. When the video was over, the room went wild with clapping and excitement. I wish I still had that video to show you, but it’s not the video that matters. It’s this process that finds the strengths of each individual, and a team that is willing to take risks with each other, so each member can shine and show who they really are. You cannot find that with a test. My family means the world to me. My children and granddaughter were here over Thanksgiving and the house was warmer (not only because the heat was up higher than I usually put it) but the feeling in the house was warm and special. My sisters and their families were here also. The love we have for each other is something you cannot really hold or touch. It just is there. Always. Being with people that know you and have history with you means so much. You can bring up something that happened years ago and see their smiles because they experienced it also. I do have some challenges now but it doesn’t matter when you have love and people that love you no matter what. Some love is always there even though you have to let it go. My granddaughter, Cali, has a sparkle in her eye when she sees me, her Baba. She giggles and shows me pure love. Wow! How lucky am I! There are some people who are there for you in good times. But it’s the people that are with you during the tough times that you know are really your friends. Like I said earlier I have a few challenges right now that I am processing and working through. Everyone has something to deal with especially during these tough economic times. I hope my friends don’t think I take them for granted. I want them to know how much I appreciate them. I don’t want to list them here but you know who you are. Even though I may have loads of Twitter and Facebook friends, there are some real special people in my life who believe in me and want to see me successful. I would do anything for them too. To have a business now in difficult times means that you have to be tough — tougher than I’m used to. I like to do things for others or I wouldn’t have created My eCoach. I tend to bend over backwards for people instead of doing what I need to do for myself. Watch out world! I’m growing and changing to be something different and stronger. But don’t worry — I’ll still be there for my good friends. I once told my children “I love learning” and they laughed at it. My granddaughter said that to me this weekend and I just smiled. Every day is a new day. Each day I hope to learn something new. I am so curious about the world and what I can find out about it. Cali is almost three so the world is her playground. Watching how she is curious and creative brings out the child in me. I love technology but I want to learn so much more about the world as a scientist, researcher, and artist. I am joining different groups now to stretch my mind, my world. I’m spending each day reading and researching ideas and topics that I’ve always wanted to learn about. I’m teaching a course on “Learning in Real Time” for UCSC this Spring and putting on webinars that stretch my mind. Just did a webinar with Roxanne Clement on Joy in Learning Matters for the Global Education Conference (see all the archived recordings here). 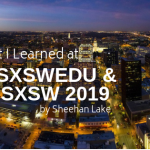 I tried to go to as many webinars as I could during that conference and going back to check the archives there and other virtual conferences. So cool! I’m running a book study for Sig ILT on Web 2.0: How to for educators just because I want to. 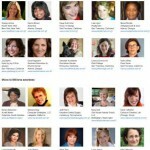 I am a Micro Awardee from the Make Me a Million $ Competition for Count Me In for women business owners. I am learning about being more successful at what I do and how to do that. I plan to share what I learn with you. It’s all about attitude. I get it. When you get that feeling that you can do anything you want to do, it’s so rewarding. So back to the article about gender gap… I didn’t believe enough in me especially being a woman who grew up in the 60s and 70s. The last few months have opened my eyes that if I don’t believe in me, then why would anyone else? I do now. I do get it. I’m learning. I watched Forrest Gump again. When you look at Forrest’s life, he was in the right place all through history. I know it was not real, but this movie brought home to me why it’s so obvious what is happening in America. It’s a dumbing down of America for a reason: MONEY. Even though Forrest’s IQ was low, his mother believed in him; he had opportunities and took them; and he never gave up. No Child Left Behind sounded like a good idea but was never funded completely and then focused on testing and standards. I don’t disagree about accountability and determining how students are progressing. BUT… no student is the same. They start out different. The problem with NCLB and standards is that everything is based that all 6 year old children across the country are the same. Textbook companies created the tests that met the standards for Texas, California, and New York. Forget the rest of the country. So a 6 year old in West Virginia was tested on information based on New York standards. Public schools are losing money so administrators are making hard choices to retire high quality teachers early, get rid of bonuses for teachers who work toward a Masters (article), and hire inexperienced teachers from programs like Teach for America (TFA) where they are placed in low income schools after 5 weeks of training. We need teachers. People need jobs. It’s just that these inexperienced teachers need help and that TFA prepares them with the attitude that they know more than experienced teachers. What??? How can that be? If all of your new teachers feel this way, then forget change… forget creativity. That is, unless some of these new teachers take the high road and want to learn more and partner with an experienced master teacher or coach. Read Carolyn Foote’s post about master teachers. Now we’re moving to Common Core Standards that are pieced together skills that inexperienced teachers teach with worksheets because that’s all they know. Teachers may only know what they were taught. Reading from the textbook doesn’t work for today’s students anymore. Testing on these standards does not mean students have real understanding of the concepts and how they relate to the real world. We need experienced teachers, mentors, and coaches to develop engaging innovative learning opportunities for our students. If not, we take away the opportunities for our most vulnerable children in public schools. Maybe we need to rethink the motives to compartmentalize teaching and learning now and why we are going back to this industrial model when we know it doesn’t work. Do you really want mediocre citizens that will not be able to compete in a global society? Keep this up and we’ll be the developing country led by a few very wealthy people. China, Korea and India will be leading the way unless we stop the direction we’re going. I’m looking for schools, teachers, districts who want to offer the opportunities so any child can reach their fullest potential. 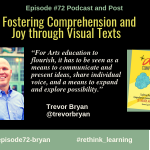 Are you ready to get creativity, joy, and the focus on learning instead of teaching to the test? You know what to do. You just don’t do it. It is so easy to find excuses to not do something that is really important because it is hard to do. It is easy to find excuses why you need to do the little unimportant things and put off the difficult stuff that really matters. So I say “stop making lists, delegate the little stuff, and take the first step to be a success.” I read Seth Godin’s post Sure but what’s the hard part and got me thinking about this and how it home for me. I’ve heard this from others telling me over and over again that someone else can do this or that for me, but it was easier for me to make excuses or to presume that I was the only one in the whole wide world that could do something. I remember hearing and believing “if you want something done right, do it yourself.” The problem with that is that there is only one of you. You cannot do it all. It’s that indispensable thing we tend to do to ourselves. Today is the day to let go. Being an entrepreneur takes a different mindset. Most of us have been taught to take orders, follow the rules, think in the box… When someone breaks out of the box and comes up with what they think is a crazy idea, their colleagues just shake their heads and wait for their friend to come to their senses. That is until the economy changed everything and the consequences for following rules doesn’t mean you keep your job anymore. There is no security and the rules have all changed. With good jobs going away, middle class downsizes. Jobs that pay well are going away and are not being replaced by similar jobs. The middle class is shrinking. Corporations are cutting back on their work force and continue to send jobs oversees. Some of the jobs that are being cut are accounting, good-paying union jobs, and technology jobs. When you are out of work and there are no jobs, no unemployment benefits, you take any job — even a low-paying job. With little money, people are barely making it by, losing their homes, and not spending money. This is the trickle down effect people were talking about. What happens to our communities? to the families? Houses go into foreclosure, people don’t spend money so stores go under, people move and take their children out of school. Without enough students, schools close or teachers are laid off. This is that trickle down effect but not the way we were thinking it would go. You can feel sorry for yourself or you can take control of your life. 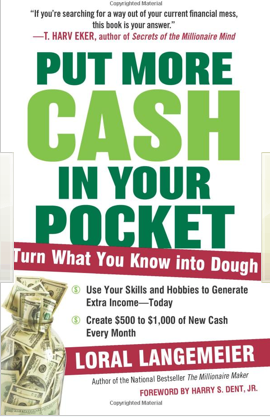 What if you could make another $500+ a month? Could that help you? 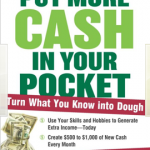 I just read “Put more Cash in Your Pocket” by Loral Langemeir who I met at the Make Mine a Millionaire $ Business Conference. What do you like to do? What are your skills? Do you have any hobbies you wouldn’t mind doing more and making money off of them? Change how you think and think like an entrepreneur. You can make extra money while you have a job. If you don’t have a job and are on unemployment, try your hand at doing something you love and see what it feels like to make money off of it. Interested in learning more? Buy Loral’s book and take a chance. You can do that now. Lucky me! I participated in Dr. David Thornburg‘s session on Learning from the Holodeck at Fall Cue today. The world’s first educational holodeck is at the pre-K to middle school campus of Colégio Atual, a school in Recife, Pernambuco, Brazil. The holodeck is a bare room with custom interactive computer software and hardware. 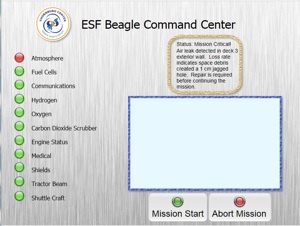 Students create challenging missions that use their skills in the STEM (science, technology, engineering, mathematics) subjects to complete a journey. Middle School students take a simulated trip to Mars in search of evidence for extraterrestrial life. These students are in their school but instead of being seated in rows in a traditional classroom, they are in a special room, the Educational Holodeck. With the Thornburg Educational Holodeck(tm), large screen displays are used to convincingly create the environment of an interplanetary voyage, where students are allowed to choose their destination for each journey (e.g., Jupiter’s moon, Io). The software is an open source program called Celestia. Students join teams based on their interest: culinary, engineering, space, and others to research how to live on the spacecraft over years on their way to Mars and back. Colégio Atual holodeck has U-shaped tables so team leaders can sit closer to their team members. All the interactive images on the walls are produced by computers. This means, for example, that the room can immediately change from being a spaceship to being a microscopic chamber allowing children to navigate through the human circulatory system – all by changing the room’s software. The teacher plays the role of mission commander, not as content presenter. Students need to do their own research in order to be successful in this environment. HyperStudio is being used to coordinate a number of different software applications such as Celestia, Google Earth, a calculator, video chat software, and others. In addition, the Thornburg Educational Holodeck(tm) project is doing advanced testing of the HyperStudio Player for the iPad as a portable data device on the Educational Holodeck ™. I want to be on a team using the Holodeck.